Another semester started this past week. People flooded the campus once again. Campus orgs equally flooded the campus with flyers for their groups and events. Students are already stressed about classes as they were bombarded with syllabi filled with impending doom. As for our team, we are entering the new semester with a sense of awe and respect for what God has already done to blow us out of the water in our first official semester on campus. We also have an immense expectation that the school year is not over yet and neither is God! Our staff had 3 all day gatherings throughout the break where we did team building activities, renewed and refined our vision for the next five years and made clear goals for this next semester that would begin to move us toward our five year vision. Each week I spend with these awesome men and women of God, the more excited I am for our future. One particularly exciting thing is that our two part time staff, Zach and Daniela, have both decided to come on full time! They will continue to work one day a week while spending more time raising funds to make this a reality. This means that by next Fall, we will have six full-time staff. What a difference we will be able to make on our campus and in the lives of students! One of our goals for this semester was to see monthly nights of worship and prayer started. We tried to make our goals realistic, that we would have 15 students involved at one by the end of the semester. We had our first one earlier this month during break and had six students who were so blessed that this last Monday they planned their own impromptu worship night at which 12 students showed up! We know that if our students get a heart for worship and prayer that big things will begin to follow! 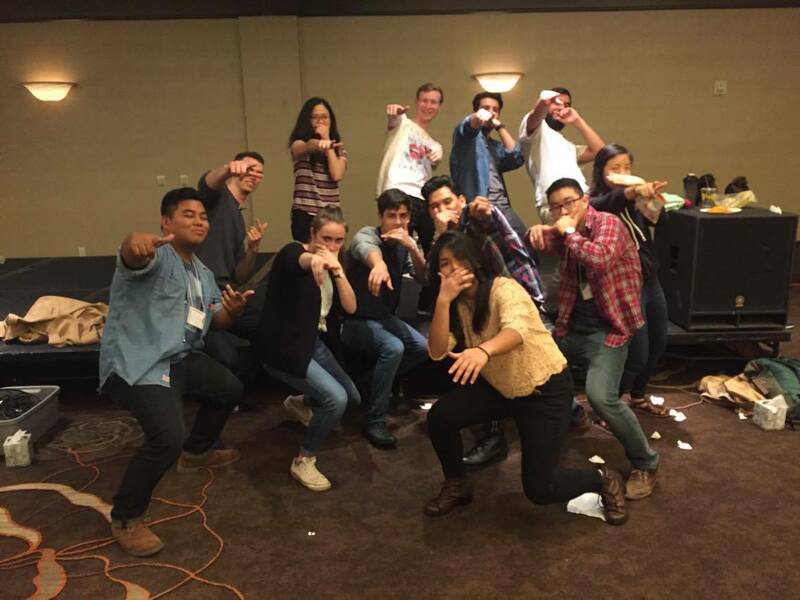 Finally, we had our annual SALT conference over MLK weekend in which 400+ students from all the Chi Alphas from California, Arizona, Nevada and Hawaii came together to seek God’s face. 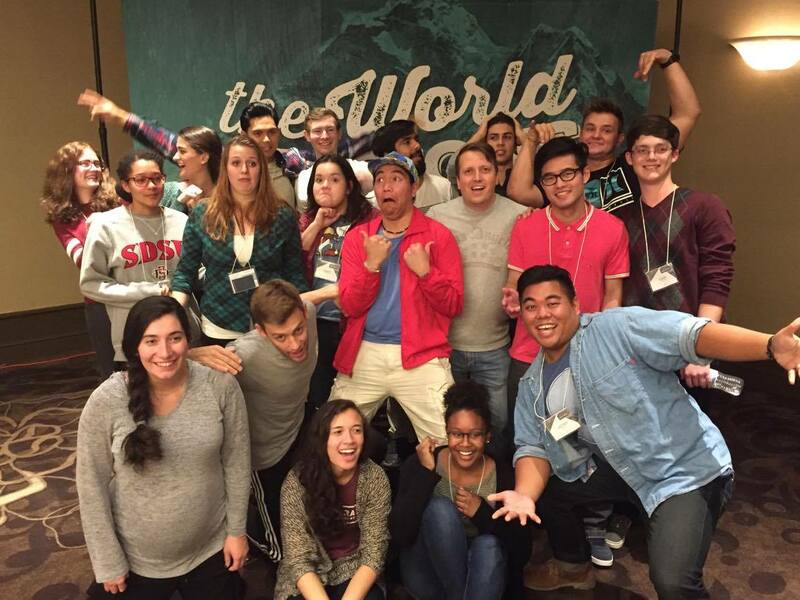 SDSU Chi Alpha was the “Cinderella” of the conference. Everyone was amazed at what God has done in our group in such a short period. It was not just the fact that we brought 15 students, but the depth of their hearts for God. In particular, our worship team led worship (one semester in!) and did an amazing job both musically and in fostering the presence of God. Even more exciting, these students grew leaps and bounds! My highlight of the conference was one student who was on the fence about even coming. She had only been to a handful of Chi Alpha’s last semester, never went to a small group and was thinking of backing out of the conference. The last night was an amazing night of prayer and the Holy Spirit working in the lives of students. After everything had settled down, the worship team had stopped singing, students had shifted more towards talking than prayer, but for another 15 minutes I watched Erin. She was standing alone at the front of the room hands lifted, tears rolling down her face, gazing on the beauty of Jesus and being ministered to by the Holy Spirit. Here’s what she posted on Facebook for all of her friends to see, “This weekend I went to SALT with Chi Alpha. I almost talked myself out of going. While it took me a while to open up to God, everything changed yesterday. I have never been able to stop caring about what others thought and to truly worship God. But yesterday it all came out. Strangers that knew nothing about me laid a hand on me and prayed over me. I felt embraced and loved like I’ve never felt before. That feeling was so indescribable yet so powerful. I am so thankful to have gone on this trip and can’t wait to see what happens this coming semester.” Amen and amen! That is one of many stories of life change we saw and will see this semester. I’ve also included a picture one of our girls, Hannah, drew after the conference and the caption she put to it. 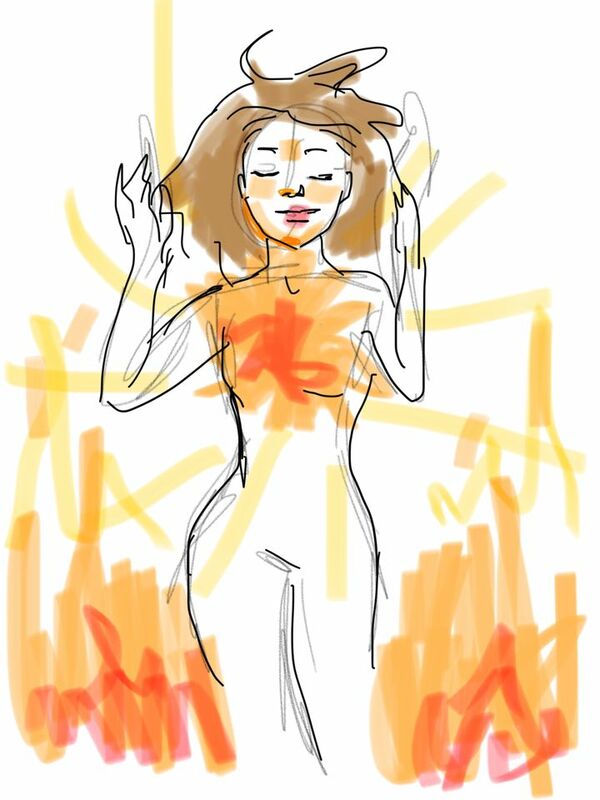 She said "Just a quick sketch that I feel summarizes this past weekend. God is doing great things in all of us." Its birthday month! Brandon had an awesome birthday on New Year’s Eve celebrating with good friends and family. Amber turned 7 January 13. Up next is Kendra (Jan 27), then Eden (Feb 2) and Peyton (Feb 8)! It’s always a crazy but fun time. To celebrate, we went to Disneyland together and with the girl’s aunts earlier this month. Amber performed in the Nutcracker for the second year. She was a sugarbabe along with many other girls her age. She was one of six chosen to also be a doll and then the night of the show was chosen to hand flowers to Sugar Plumb Fairy, both great honors. Kendra and Peyton are currently working on the musical Sherk Jr. Kendra is choreographing and Peyton is in the chorus. They’ll be busy dancing away on Friday nights and Saturdays until the show opens February 20. Eden keeps talking and talking and talking and talking. She also got to go on a field trip to Sea World last week and loved seeing the animals. We recently leased a ten bedroom house near campus that we will be subletting to students. Pray for the right students to fill it and amazing and life transforming community to be built. The university approved our two funding requests for this semester, including bringing in William Paul Young the author of “The Shack” to speak in April. One of our student just applied to be on the student organizations committee. 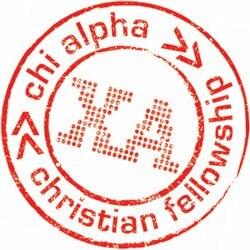 Pray he gets on it as it could increase Chi Alpha’s influence on campus. Pray for our first large group meeting on Monday. We will be having Winston Bui, the Chi Alpha director from UCLA speak. Small groups will also start this week, pray for new students to get involved! Pray for our staff to finish raising their budgets in a timely manner so they can get on campus full time.